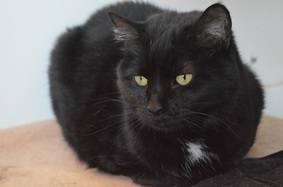 Metro Animal Services' Pets of the Week:Raymond and Bella! Southwest Beautiful Business - PRP Ice Cream! Join Councilman Blackwell on Saturday, April 21st for an informal discussion on the topics, issues, concerns and suggestions you have for District 12 and Southwest Louisville. 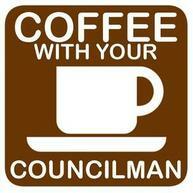 Stop by Sister Bean's Coffee House anytime between 10:00 am - noon to speak directly with Councilman Blackwell and have a cup of coffee on him! You could call the Dog of the Week a silver fox, but this handsome fellow is just 1 years old! 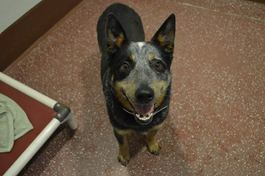 Meet Raymond, a very friendly, very affectionate Australian cattle dog. Raymond’s like most young pups: enthusiastic, busy and curious. His dream forever home would have a big back yard to explore. We are proud to recognize PRP Ice Cream as a Southwest Beautiful Business! They have made a tremendous effort to keep their establishment and surrounding area litter free. PRP Ice Cream takes pride in not only their business, but the South West as a whole. Whether its repainting their building or repaving their parking lot, they always take the extra step to ensure their business is looking as beautiful and inviting as possible. You will always be greeted by friendly face whenever you stop by for their delicious sweet treats! We encourage everyone to take a look at their neat and clean space and bring family or friends to enjoy their yummy assortment of flavors. Brothers Donnie & Jeff Huddleston, owner of PRP Ice Cream, knows the importance of keeping your business clean. "The first impression, is the best impression! Keeping your area outside and inside as clean as possible will definitely have an effect on who visits your business. We can also proudly say, that over the past 8 seasons, we have scored nearly 100% every time on our Health Department inspection," says Huddleston. Thank you PRP Ice Cream for your dedication to maintaining a positive image in this community! 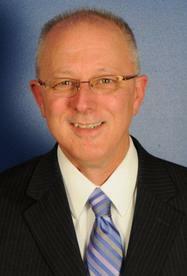 We all appreciate the happiness that you bring to the area. The Transformations Class will be meeting with youth and their parents to talk about the taboo subject of drugs and addiction. We’ve dedicated a year to working towards an end to addiction, and understand that prevention is the key to success. 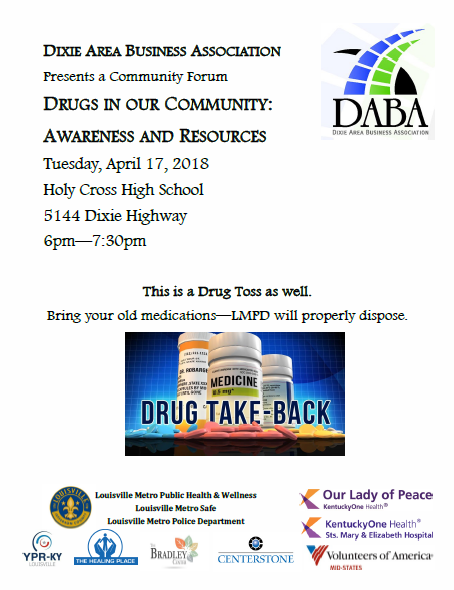 We’ll be presenting some information, discussing prevention tips and warning signs of drug use, as well as hosting an honest and open conversation with teenagers and their parents. Bring your questions and concerns, and we’ll bring our experiences and research! 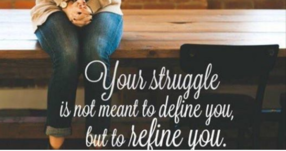 If you are interested in learning more about stopping addiction, feel free to join us! Give A Day of Service will once again be part of the Kentucky Derby Festival schedule of events. 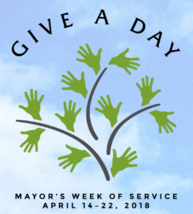 Set to kick off on April 14, the Give A Day service projects will be a week long of volunteer activities around the city. Mayor Fischer urges citizens, businesses and civic groups to join in and volunteer – and for Louisville non-profit groups, schools and churches to identify service projects to participate in. 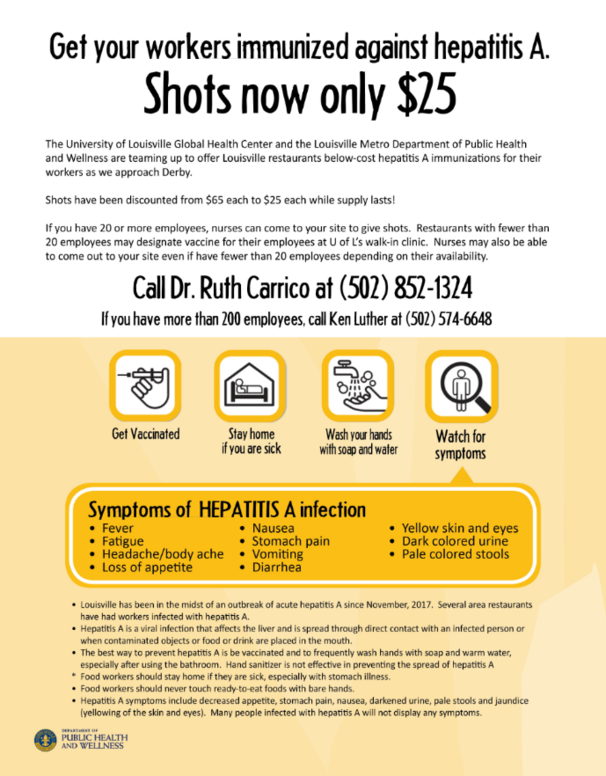 You can contact Metro United Way regarding their need for volunteers to help. Some of the organizations that will be available for volunteers to help include Brightside, Metro United Way, Dare to Care and WaterStep. Individuals, companies and groups can volunteer online for the Give A Day service projects by going to www.mygiveaday.com. Agencies and organizations that have projects needing volunteers should use that same link. 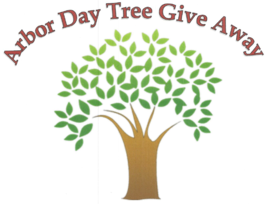 Master Gardeners will distribute 1,000 bare root trees on Saturday morning. They will also be available to provide information about the trees and help select the right trees for the right location. Where: Louisville Nature Center, 3745 Illinois Ave.
Limit of three per family. Come early for the best selection! 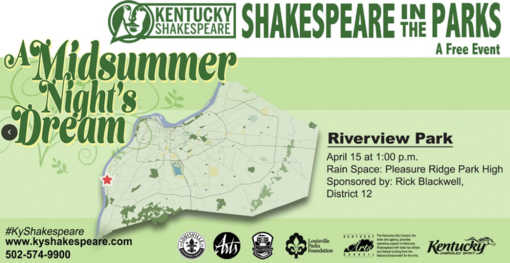 Sponsored by Jefferson County Master Gardeners and the Louisville Nature Center. Adopt a DUCK, Win a TRUCK! 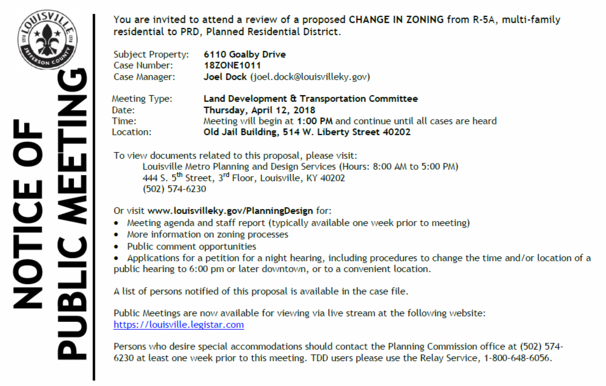 Get ready for one of the most exciting events in Louisville! 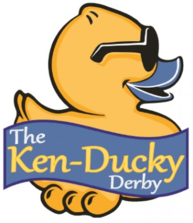 The 15th Annual KEN-DUCKY DERBY - an official Kentucky Derby Festival Event! Join us Saturday, April 28th, 2018 from 4pm-8pm at the Waterfront Fest-A-Ville, as we drop at least 35,000 rubber ducks into the Ohio River. Cheer your duck to victory as they race to the finish line! ONE lucky duck will win a 2018 DODGE RAM TRUCK provided by Swope Family of Dealerships. 2nd and 3rd place ducks will walk away with cash prizes. And every duck in the race has the chance to win ONE MILLION DOLLARS. Your duck adoption benefits individuals with disabilities at Harbor House of Louisville. Harbor House's mission is to "empower individuals with disabilities and their families to lead fulfilled and productive lives." Come visit Harbor House to see how your duck adoption is changing lives, everyday. Below is a list of projects overseen by the Kentucky Transportation Cabinet happening in Southwest Louisville. 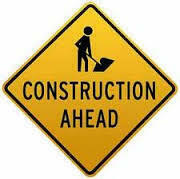 US 31W (Dixie Highway): Lane closures and sidewalk closures in place between Greenwood Road and Heaton Road (mile markers 11.7 to 14.5) due to construction for access management and bus rapid transit lines. Roadway is reduced to two lanes on northbound Dixie Highway between Greenwood Road and Blanton Lane and two lanes on southbound Dixie Highway between Heaton Road and Upper Hunters Trace. US 31W (Dixie Highway): Lane closures and delays possible between Stonestreet Road and Pages Lane (mile markers 9.7 to 10.5) due to asphalt paving. Lane closures are possible weeknights in the northbound lanes from 9:00 p.m. until 6:00 a.m. and in the southbound lanes from 9:00 p.m. until 8:00 a.m. Lane closures are possible during daylight hours on Saturday, March 31 due to paving operations. For questions or concerns about the paving work on South Dixie, please contact Will Nolan at william.nolan@ky.gov or Sherri Smith (502) 955-5436. Log on to goky.ky.gov for the latest in statewide traffic and travel information in the Commonwealth of Kentucky. 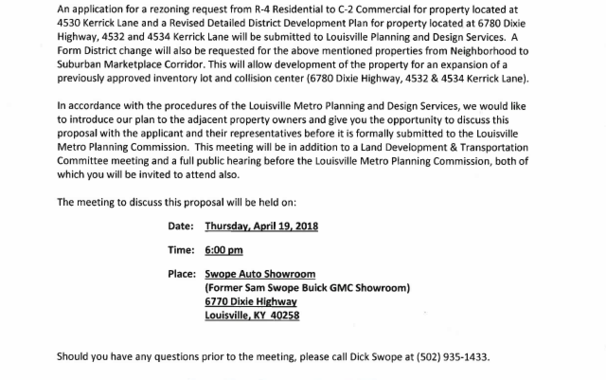 The following is a list of permits and notices from Louisville Metro public works for lane and sidewalk closures, utility cuts, street closures and oversize load notices in the Metro area. 6912 Memory Ln. - LG&E has been issued Permit Number 18RW1990 to close one lane in order to complete a gas service replacement. Permit is valid from March 30, 2018 to April 27, 2018. For more details or to see additional permitted work throughout Metro Louisville, visit the map here.